Seattle had its looks on offense but couldn’t put any of them away. One mistake at the back cost Seattle at home to the Colorado Rapids, the top team in the Western Conference. The Sounders did everything they needed to win at CenturyLink Field Saturday night against the Colorado Rapids except score. 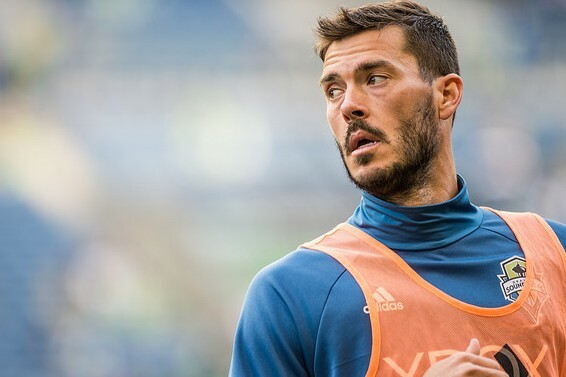 A set-piece letdown on the back of a Brad Evans error was all the Rapids needed to secure the contest’s lone goal and pick up their second win of the season against Seattle. The Sounders were at a loss to explain their failure to execute. Seattle (4-6-1) outshot the Rapids 17-9, but couldn’t find the back of the net. Unfortunately for Seattle, the experience with success belongs to the Rapids (8-2-3). Coach Pablo Mastroeni’s team is unbeaten in its last eight contests and is at the top of the Western Conference. Colorado’s position has surprised the soccer community. The team is one win away from equaling its win total in 2015, where it finished at the bottom of the West, but the Rapids seem to have found the killer instinct that has abandoned the Sounders, leaving them to grind out wins and stumble through losses. Schmid said that he expects a breakout game from his team, but couldn’t pinpoint when it might come. “I walk away as a coach with the feeling that there’s going to be a game where it’s going to be 1-2-3-4 and they’re going to fall in the net, but tonight was not that night,” Schmid said. The goal came at the close of a dominant Seattle first half. In the 42nd minute, Colorado’s Kevin Doyle nicked the ball from Evans on the sideline and broke free on goal. Evans recovered with a slide tackle, conceding a corner. The first corner bore a second one, and the second sank the Sounders. Axel Sjöberg came off a screen, losing defender Andreas Ivanschitz. Marc Burch’s cross had no trouble finding the six-foot-seven-inch Swede’s head before hitting the net. “Right now it seems one mistake, one goal allowed and we’re still losing games,” Evans said. “That’s the narrative right now, and it’s going to be tough to break. It was my mistake that led to the goal. Maybe if we eliminate that mistake we keep it to zero. That’s really the only (flaw) I can think of. In the second half, Seattle created numerous chances in Colorado’s end, but came up empty. In the 72nd minute, Burch denied the Sounders their best opportunity of the night, clearing a Clint Dempsey rebound effort off the goal line to preserve the shutout. Oalex Anderson replaced Ivanschitz in the 79th minute, and for a moment looked like his speed might change Seattle’s fortunes. Seconds after entering, Anderson took a pass and spun free of defender Mekeil Williams and started down the left wing. Williams tangled with Anderson, drawing a yellow card for his trouble, but injured the Vincentian. Schmid was forced to replace Anderson after four minutes of action as the Sounders ran out of time. Unless the Sounders can find the hunger and finishing touch that has thus far eluded them and blessed Colorado, the climb up table will be steep and unforgiving to small mistakes. The final 23-man rosters for the Copa America Centenario were released Saturday. Two Sounders will represent their countries in the tournament. Nelson Valdez made the final cut for Paraguay, while Clint Dempsey was given the USMNT nod by coach Jurgen Klinsmann. Rookie Jordan Morris, a rising star who has received national team call-ups before, was left off the roster for the U.S. Klinsmann described the decision as a toss-up between Morris and San Jose Earthquakes striker Chris Wondolowski, with the MLS leading scorer taking the edge. After Seattle’s 1-0 loss to Colorado Saturday, Sounders coach Sigi Schmid said he had spoken with Klinsmann about both decisions, but declined to comment further, saying that the conversation would remain between the two of them. there are no moral victories in a loss…..there is no reason to be happy with a loss. Oh sure, we played well enough to win..if we scored 2 goals. There is no guarantee of victory if we keep playing the same way. Random chance has just as much an influence on the outcome. Soccer is soo damn frustrating!! I think (i’m painfully aware I am no expert) that there are times the beautiful game is determined by random acts of skill or just dumb luck. Apparently this is how Colorado has authored its winning streak. Absorb pressure, capitalize on their one good chance or one opponent error, then collapse on defense and do nothing but defend until the final whistle. Very risky (you’re in trouble if you concede just once), and very boring to watch, but hard to argue with results.